Old Cars and Beautiful Birds – Cuba! Join Jim Waggener in his ongoing natural resource surveys at two of Northern Virginia's best birding spots. Surveys alternate between Occoquan Bay National Wildlife Refuge and Meadowood Special Recreation Management Area on Mason Neck. If something about this newsletter looks a little different to you, maybe it is our new, refreshed logo! You can expect to see it soon in our printed materials, too, as we roll it out this fall. Heartfelt thanks to Joanne Bauer, Laura McDonald, Mina Habibi, Sam Schaen, and Marilyn Gaizband for all their hard work getting us there. Thanks twice over to Northwest Federal Credit Union, for their generous donation of $2,324 to ASNV, and (in advance) for supplying nature walk books to participants in our September 2 “How to Lead a Successful Nature Walk” workshop. Both of these were part of Northwest Federal’s celebration of their 70th anniversary. For more information about Northwest Federal’s “Acts of We” in commemoration of their anniversary, visit www.nwfcu.org/70. Note too that as part of ASNV’s partnership with NWFCU, ASNV members are entitled to join NWFCU as a member. And thanks to Margaret Grieshaber, Membership Committee, stepping in where others feared to tread, who has spent many hours over the past few years welcoming our new members. We could not have done it without you, Margaret. Don’t be afraid of the little green jobs! The workshop will focus on the field marks of fall warblers that typically pass through our region, with an emphasis on species that look very much different in the spring than fall, and species that are most often confused. Join us for our first Big Sit at Meadowood Special Recreation Management Area, Saturday, October 7, from 8AM-4PM. This event is family friendly, with activities for kids of all ages! Keep your eye on the website and Facebook page for more information. 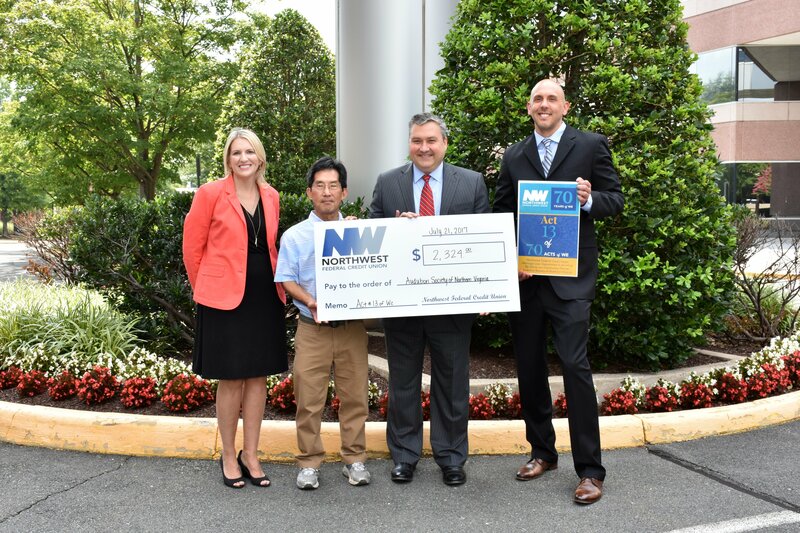 Many thanks to Northwest Federal Credit Union for their donation of $2,324 to ASNV! ASNV is a Community Partner of NWFCU, and this donation distributed over $11,000 to five of NWFCU’s Community Partners as part of NWFCU’s 70th Anniversary celebration. The donation was based on new home loans between March and June. Other recipients included amongst the Appalachian Trail Conservancy, Arts Herndon, Cornerstones, and the NWFCU Foundation. As part of ASNV’s partnership with NWFCU, ASNV members are entitled to join NWFCU as a member. For more information about Northwest Federal’s “Acts of We” in commemoration of their anniversary, visit www.nwfcu.org/70. 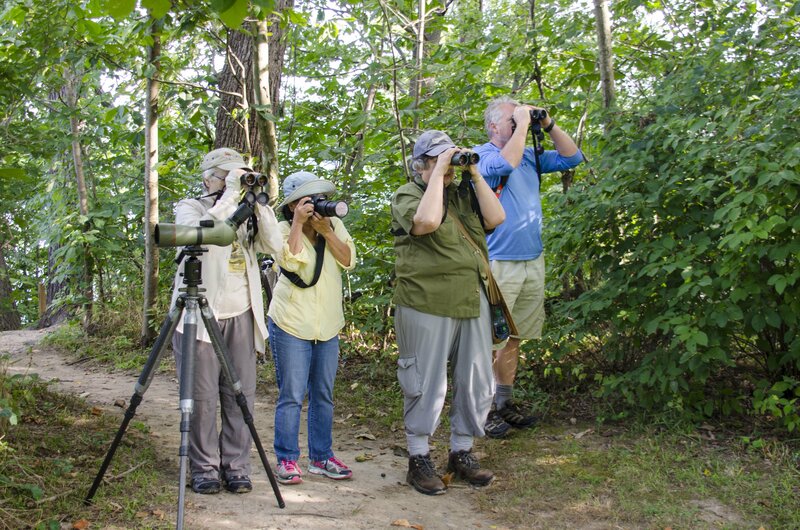 Five birders enjoyed an ASNV bird walk at Mason Neck State Park on a beautiful August 27 morning, with views of Belmont Bay and the Bayview Trail. Highlights were several very busy and viewable Red-eyed Vireos, a good number of Eastern Wood-Pewees, and an otherwise lovely Prothonotary Warbler missing its tail feathers during molt. Five Wood Ducks flew across the wetland and four Bald Eagles put in appearances. We also enjoyed several juvenile Eastern Bluebirds in the picnic area, some of which were rather scruffy. The teen-age look, perhaps. We also saw a number of butterflies and enjoyed the late-summer wildflowers. Local artist John Anderton shares original artwork and discusses the diverse challenges of bird illustration, both within a historical perspective and with reference to his current project with the Smithsonian Institution’s Migratory Bird Center. Anderton has depicted birds since childhood and studied evolutionary biology in addition to studio arts. He is chief illustrator of Birds of South Asia (2005) and Birds of New Guinea (2014) among many other smaller publications, has extensive field and museum experience, and has also taught both introductory ornithology and foundation drawing and painting at various institutions. 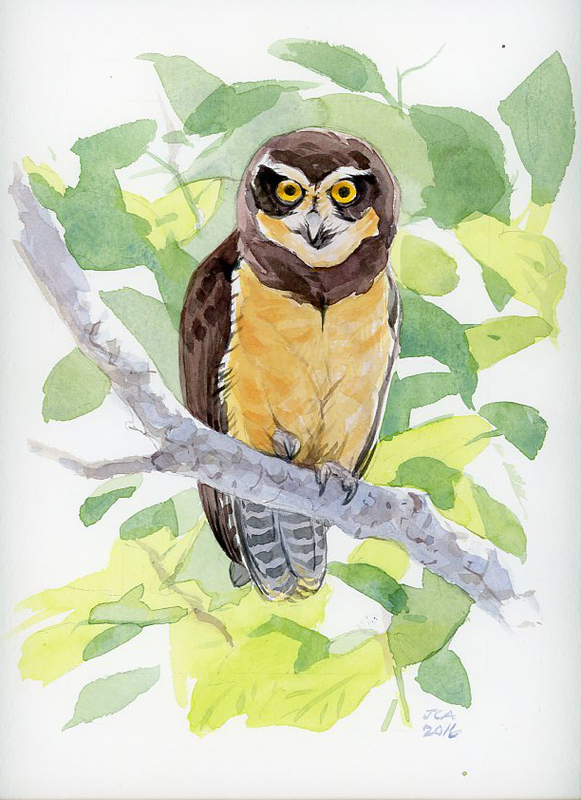 Drawing is of Spectacled Owl. More of John's illustrations can be seen on our website. Join us for the 36th Annual Manassas-Bull Run Christmas Bird Count. This year the count will be on Sunday, December 17th. Check the ASNV web site and Potomac Fliers for updates. For more information contact the ASNV office at: info@audubonva.org. New to the count or just want to brush up on your survey skills? Join us for our FREE CBC Workshop. You will learn about what we do during CBCs, where the data goes, how we count birds and how to hone your counting skills. Date and time: Sunday, 17 Dec 17 Start by 7:00, end around 11:30 AM; hot lunch provided; afternoon birding for interested people. Location: Various points in a 15-mile diameter circle around Centreville, VA. Volunteers will be assigned to teams and assist in counting winter birds. Questions: If you have any questions or special concerns, contact Bob Shipman. 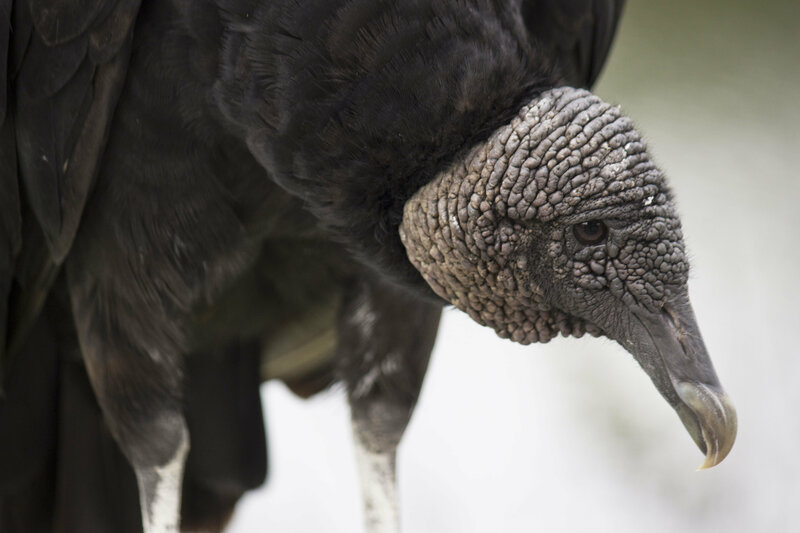 Description: ASNV’s FREE Christmas Bird Count Workshop relates the history, purpose, and scope of CBCs generally, explains how we organize our CBC, and shows where the data goes and how it is used. The workshop offers tips on preparing for a winter bird count, explains how we count birds and suggests ways to prepare for counting the birds we have in winter. We will review how to recognize and differentiate many of the birds normally seen in our area in winter and suggest resources available to help improve birding skills. Flying Recreational Drones in Our Parks? Flying drones for sport is increasing and some recreational or hobbyist drone organizations are advocating that park officials allow recreational drone flying in our parks. The Fairfax County Park Authority (FCPA) has published the draft Great Parks Great Communities Parks and Recreation System Master Plan, available at Great Parks Great Communities Park Authority Master Plan. It is important for county officials to hear people’s views and recommendations. To learn how Fairfax County views the environment and its sustainability challenges and to share your views, attend the 89th “Green Breakfast” on September 9 where Kambiz Agazi, Fairfax County Environmental Coordinator, will make a presentation. Breakfast begins at 8:30 am, $10 at the door, cash preferred; Brion's Grille, 10621 Braddock Rd, Fairfax, VA 22032. No prior registration required. Info can be found here. Join other conservationists, form alliances and learn the issues on September 22-23 for the Virginia Environmental Assembly, Jepson Alumni Executive Center, Fredericksburg. Visit the Virginia Conservation Network. This 38-acre lake has a two-mile, shaded loop passing woods, grassland, and shoreline, where we’ll hope to have mud flats and migrating shorebirds. Phil Silas and Ghazali Raheem lead. Sponsored by the Northern Virginia Bird Club. Getting there: From I-495 take exit to VA-620, Braddock Road going west and continue 2.36 miles. Turn left onto Rt 651 Guinea Road and continue 0.64 miles. Stay straight at intersection with Commonwealth Blvd (do not turn left to follow Guinea Rd.) Go 0.4 mile and turn left on Pommeroy Dr and then turn right at the intersection with Bronte Dr. to the entrance leading to the parking lot. 5216 Pommeroy Dr, Fairfax 22032. This area always yields a variety of birds, with pond edge, field and woodland habitats. Sponsored by The Bird Feeder of Reston and the Reston Association. 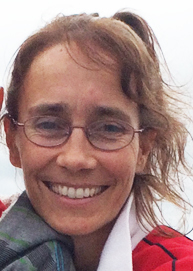 Melanie LaForce leads this walk with streamside woodland trails. Don’t miss the chance to get out and go birding as we start into Fall! Sponsored by ASNV. Getting there: From the west, take I 66 east to Arlington exit to Lee Highway. Or from the south, take 95/395 North to the Glebe Road North exit. Follow Glebe Road for several miles to Lee Highway. From Lee Highway or Lorcum Lane, head north on Military Road. Turn right on Marcey Road to 2845 Marcey Road, Arlington, VA 22207. Meet at the parking lot near the restrooms, just past the picnic area. When one thinks of Cuba, 1950’s era cars come to mind. Yes, those cars are among the sights you will see when you join ASNV’s visit to Cuba, December 6-15, 2017. These cars are not just keepsakes! They are how many Cubans get around day to day and some are now taxis. 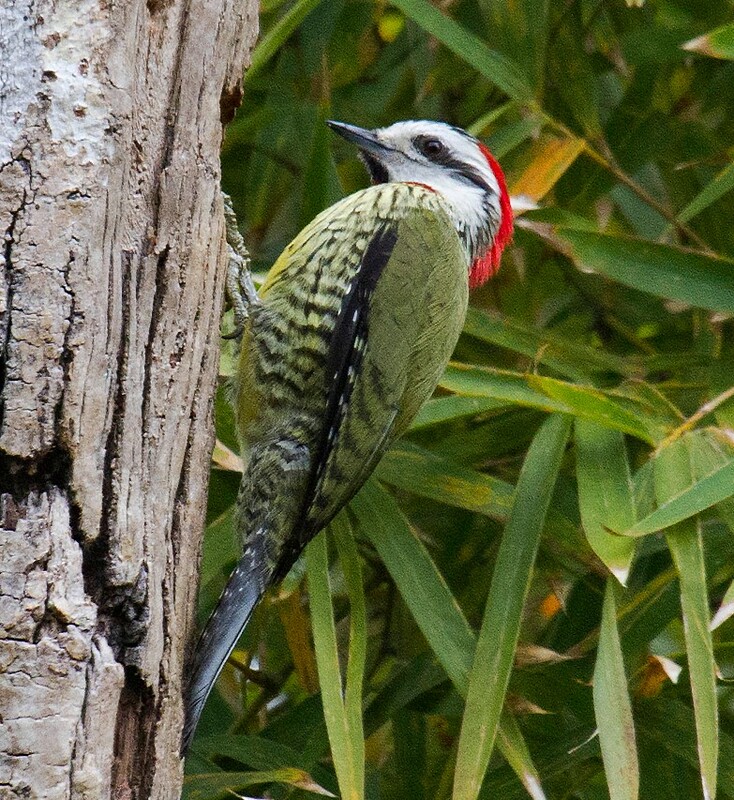 You’ll see those 1950’s Chevrolets or Chryslers on your way to see Cuba’s amazing birds. On the north coast at Cayo Coco, for example, you will find Oriente Warbler, Cuban Black Hawk, Mangrove Cuckoo, and more! Here are locations for several local native plant sales. September 9, 9 am – 3 pm. Green Spring Gardens. The Virginia Native Plant Society offerings are behind the visitor center. September 9, 9 am – 3 pm. Loudoun Wildlife Conservancy sale.